I'd be remiss if I didn't first mention that I know the Kardashians get paid a ton of money for their (carefully constructed) Instagrams of this product. "I started to drink [this] tea [recommended by my mother's] friend. It took one year to get down from 140 pounds to 80 pounds. It sounds weird, but it actually happened to me. I am so happy." SO many of the accounts were similarly shocking. I started to question what would happen once the tea arrived and I began my detox. Should a 140-pound woman strive to weigh 80 pounds? How could that be healthy? Was this a dangerous product? Concerns flooded my brain. Before drinking the tea, I did some research and ran the claims by a few experts. 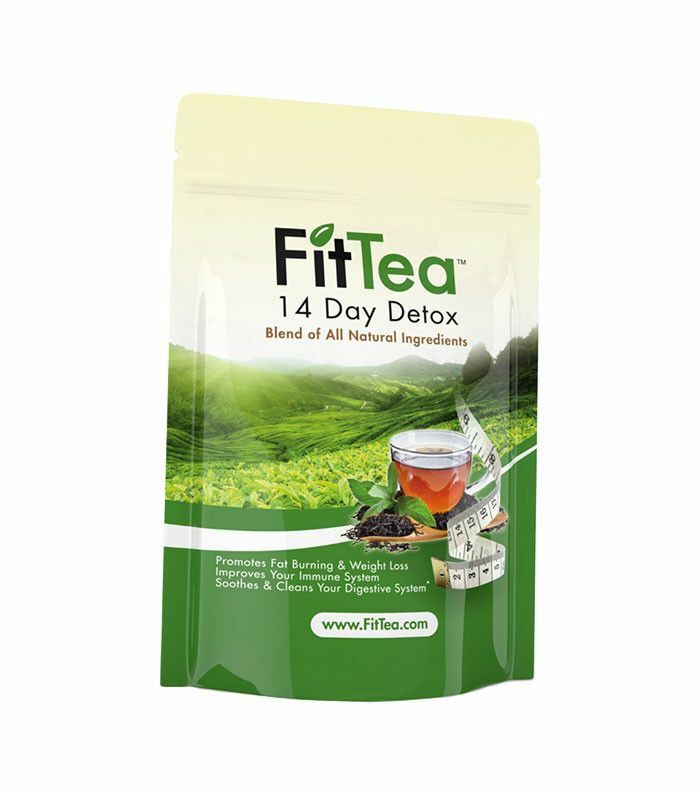 Fit Tea's website reads, "Green teas have the ability to speed up the body's metabolic rate by up to 4%. This seemingly insignificant boost in metabolism can, however, with little or no effort than just drinking two to four cups daily, help to burn stored body fats and reduce fat storage. Over time, this 4% boost in calorie burning can substantially increase an individual's overall fat-burning capability. Green tea gives you energy by slowing the usage of carbohydrates in our body, meaning you can exercise much longer without feeling tired. Thus you can burn more calories." 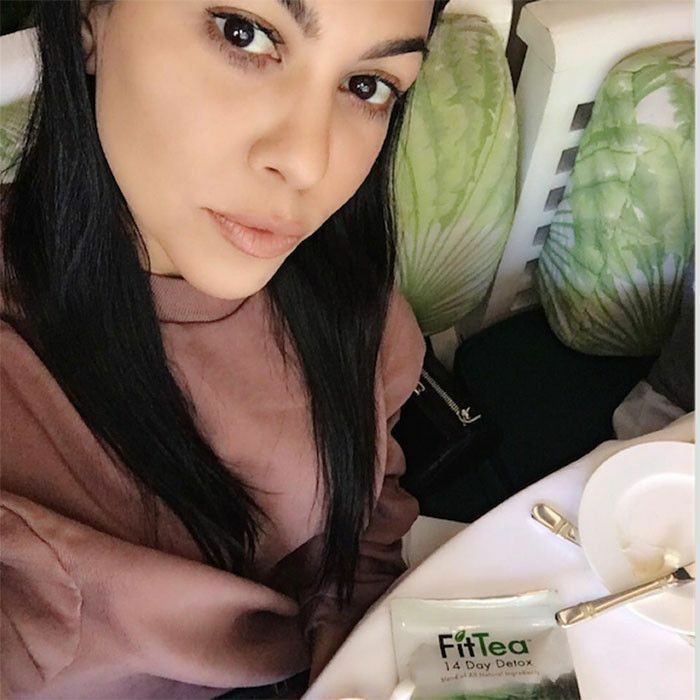 Theresa Krier, the founder of couture tea brand, Big T NYC, agrees: "The best teas to help you lose weight are green and white teas, which are rich in EGCG, a form of antioxidant that helps boost metabolism." Published in the U.S. National Institutes of Health's National Library of Medicine, this clinical study supports those claims. "Oolong tea increases metabolic rate and fat oxidation in men," the website states. No word about in women. Amy Rosoff Davis, a fitness expert, wellness guru, and Selena Gomez's long-time trainer verifies that claim. "This antioxidant-rich, delicious traditional Chinese tea not only helps keep cholesterol levels in check and aids digestion, but it can also help with burning calories," says Davis. "Like green tea, oolong is packed with catechins, which improve fat oxidation and thermogenesis—your body's production of energy, or heat from digestion." A study in the Chinese Journal of Integrative Medicine found that participants who regularly sipped oolong tea lost six pounds over the course of the six-week time period. "Hydroxycitric acid (HCA) is an active ingredient extracted from the rind of the Indian fruit Garcinia Cambogia," the Fit Tea website reads. "It inhibits adenosine triphosphate citrate lyase and has been used in the treatment of obesity." Elissa Goodman, celebrity holistic nutritionist and cleanse expert, substantiates the website's claim. She agrees that HCA is said to block fat absorption and suppress the appetite and inhibits a key enzyme, citrate lyase, that the body needs to make fat from carbohydrates. This is supposed to help you feel fuller more quickly and help convert the food you eat into energy as opposed to being stored as fat. "However, the most promising studies to prove this were animal studies," Goodman says. "The studies of Garcinia Cambogia in humans do not show any mind-blowing results." Once I realized the ingredients were legitimate, I started the detox. My first impressions were that the tea tasted really good (just like green tea and honey) and drinking it every morning was a breeze. From the get-go, I could tell it was highly caffeinated—and a diuretic. I swapped out my usual cup of coffee so I wouldn't get too jittery, and the symptoms subsided after the first few days. As time went on, I started to realize it was working. I didn't change my usual diet or exercise more (to control the experiment and because I'm not exactly the exercising type). I woke up each morning feeling lighter and less bloated than usual. The difference wasn't huge, but I could definitely feel it. My jeans felt roomier and my confidence was instantly boosted. I don't use scales (as a way to stay positive about my body and keep from driving myself crazy), so, unfortunately, I can't report how much weight I lost. But if the goal is looking and feeling good, the tea passed with flying colors. Goodman had some more advice, though, that wasn't surprising. "There are many other options to recommend for weight loss and maintenance," she says. "No fad fruit herbal tea is going to take the place of consistency and healthier habits." I decided to celebrate the positive results and head to my local yoga studio instead of ordering another dose of tea. Afterward, I vowed to eat a bit healthier in the next week and maintain the results. So, in the end, it seems the Kardashians aren't totally wrong about the effects of the tea. It does work. But I'm choosing to fall back on good old diet and exercise to keep myself healthy and happy. Take a look at our eight ways to burn major calories no matter what you're doing.